Available from Brando. But why? 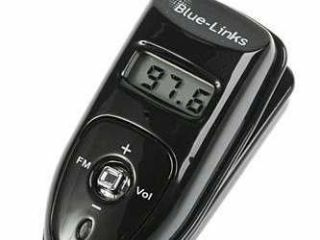 If you really must walk around all day with your Bluetooth headset on and wish to listen to the radio while you are not taking calls on the move, then Brando has released this FM radio Bluetooth mobile headset just for you. While TechRadar is unsure of the extent of the market for such a device, Brando claims that its research proves there is enough demand to warrant the BTM-118. The unwieldy-designed earpiece features Bluetooth 2.0 and an auto-searching radio station function with eight pre-set stations. The BTM-118’s battery lasts for 12 hours of radio time and 10 hours of talk time. You can get one at Brando’s shop for a mere $53.00 (£27). If you must.